"Thank you for your outstanding performance at our recent Kids Club… For many of the children, this definitely made their week!". The kids get to experience their own personal Karate Adventure! Sensei Dave is here to save the day! The evil Ninjas were spotted near your party. Of course, the children will have to help! 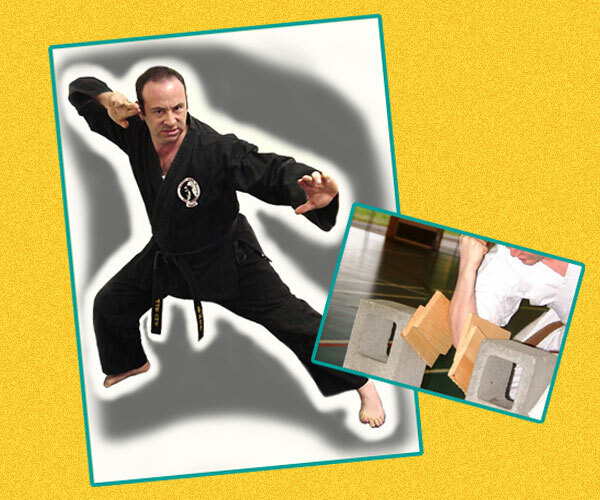 The kids must undergo their Samurai training, which includes a variety of karate themed games. They’ll earn their Samurai weapons like swords and nunchucks (made out of balloons). Dave will demonstrate some of his secret powers (karate themed magic). An authentic Karate demonstration including board breaking will cap off the event! Dave is an actual 3rd degree Black Belt in Shaolin Kenpo and a 1st degree Black Belt in Kajukenbo, as well as a full-time children’s entertainer. Availability is extremely limited, so reserve this one-of-a-kind program early! !